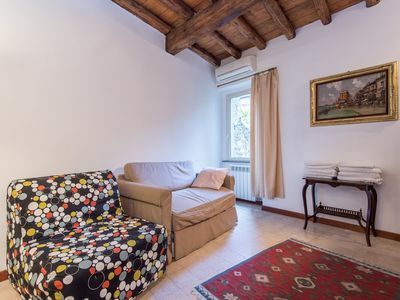 Nice complex situated in a small, charming hamlet in Lucca surroundings. This property has been recently and carefully restored and turned into 6 welcoming apartments providing tastefully furnished interiors. The unit Flavia 3 overlooks the hamlet while the other 5 apartments offer views over the surrounding landscape and over the garden. All of the apartments provide floor heating and cooling system in order to guarantee high comforts all year round. 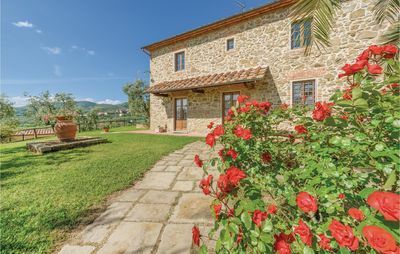 This property is nicely located, halfway between Pisa and Lucca (both approx. 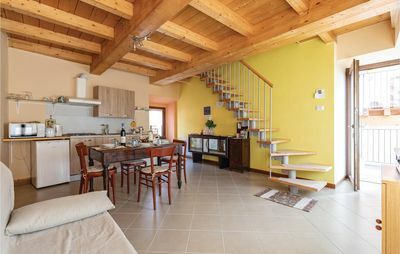 8 km away) and at the same time it is only a short distance away from the Versilia coastline area with beautiful beaches, excellent restaurants and shopping facilities (approx. 35 km away). 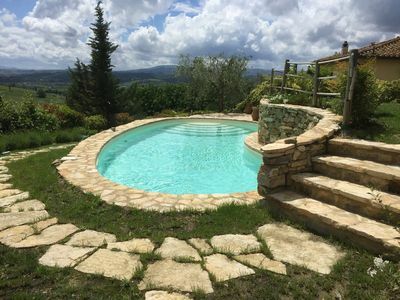 Distances: a food shop and a bus stop are only 100 m away, a supermarket is at 5 km, Lucca (railway station) 8 km away, Pisa (airport) 8 km, the Versilia coastline area (beaches) approx. 35 km, Florence 85 km away. The “Cinque Terre” region is approx 90 km away. 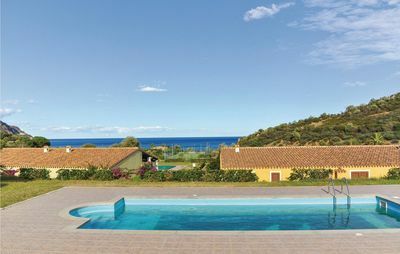 At guests disposal: large shared garden with swimming-pool (10 x 5 m - min. depth 1,5 m - max. depth 1,6 m - open from 8.30 to 20.00) to be shared with the owners, barbecue. All of the apartments provide Jacuzzi shower, washing-machine, internet access. Dryer and ironing facilities available in a shared external room. Extra Services: Baby bed upon request (free of charge). Maid service by arrangement € 15,- / per hour (payment on the spot). Extra bed upon request € 70,- / per week (payment on site). Ground floor: living-room (satellite TV) with dining area and kitchen corner (oven, freezer, dishwasher), bathroom with shower, laundry. 1st floor: 2 double bedrooms, bathroom with Jacuzzi shower.